Bluefin, Yellowfin, Skipjack, Albacore or Bigeye? In brine, springwater, olive oil, Mediterranean herbs or Thai chilli? Canned, foil packaged, sashimi grade, herb crusted or seared? In pasta sauce, with fries, salad, rice or sushi? What’s your preference? The simple truth is that we have an insatiable appetite for tuna. Turning the pages of a well known health and lifestyle magazine recently, every advert seemed to be for canned tuna. Canned tuna is of course an excellent source of affordable protein and is heavily promoted, distributed and consumed throughout the planet. So why wouldn’t you? 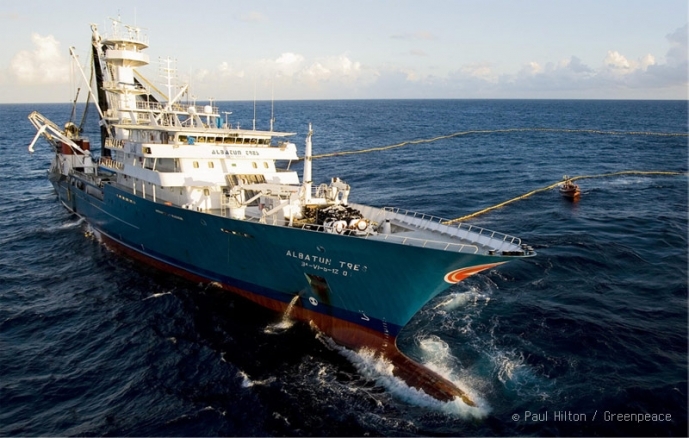 Well it seems that our love affair with tuna is driving many stocks to the brink of extinction and not just that, industrial fishing to support our demand for the fish is having much wider, far reaching impacts on our blue planet. There are not plenty of fish left in the sea any more. Bluefin tuna is on the brink of collapse, whilst Bigeye and Yellowfin stocks are fully exploited or over exploited. 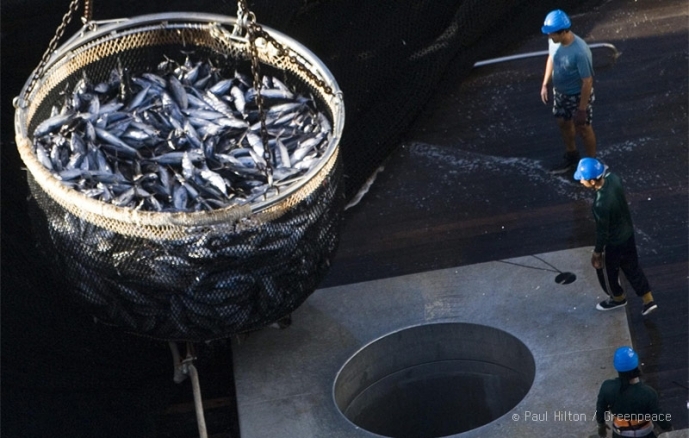 With advances in technology and industrial scale floating fish factories, we are getting better at finding and catching what is left of these depleted stocks. The most popular type of tuna that ends up in cans is skipjack. At present, skipjack is not over exploited, yet, being fast growing and rapidly maturing helps. 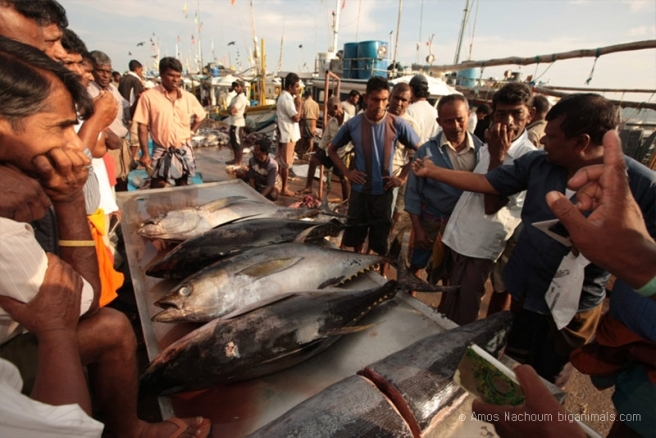 However if demand for skipjack continues to grow, the population will not be able to self sustain. Moreover, the methods in which skipjack and other tuna species are fished are often unsustainable due to the wasteful levels of by-catch created from non-selective practices. 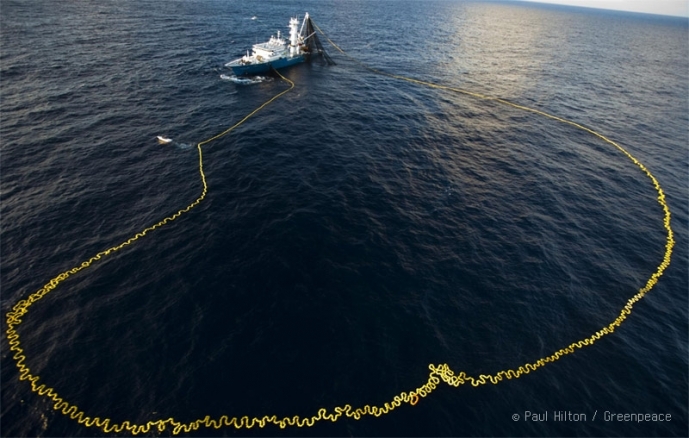 Commercial tuna operators use two key techniques for catching tuna, longline fishing and purse seines using Fish Aggregation Devices (FADs). 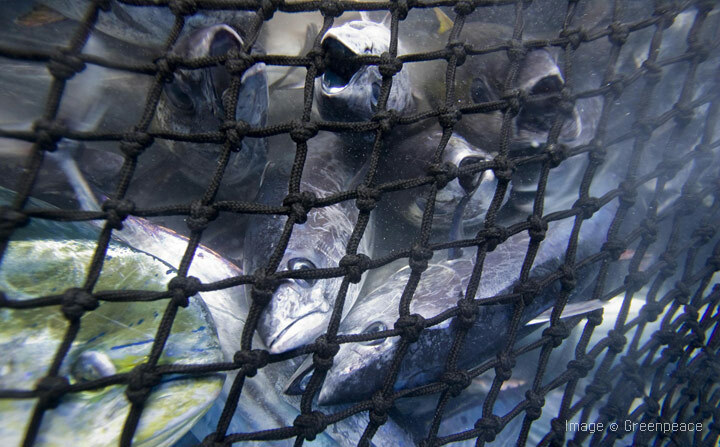 According to Greenpeace, 70% of commercially fished tuna is caught using FADs. The use of FADs became popular after public demand in the latter part of the twentieth century drove the tuna industry to become more “dolphin-friendly.” Schools of yellowfin tuna tend to be associated with large pods of dolphins, possibly either for protection or to help locate prey. Historically, by following these dolphin fishermen were able to easily locate the tuna, then they would encircle the school of fish, dolphins and all, with purse seine nets. 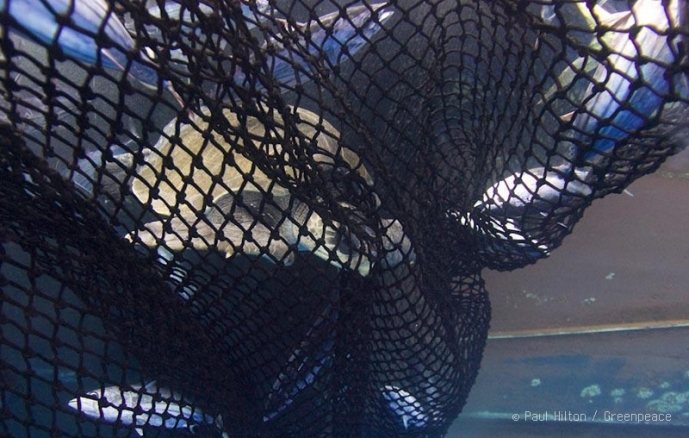 Purse-seining is where a vessel encircles a whole school of fish and then draws the net together like a purse. 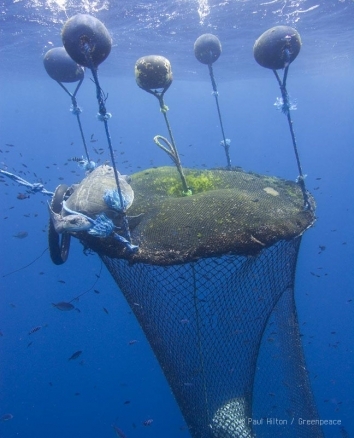 Nowadays, the use of FADs, where man-made devises, either tethered to the ocean floor or free floating, provide some sort of shelter and protection for juvenile fish. 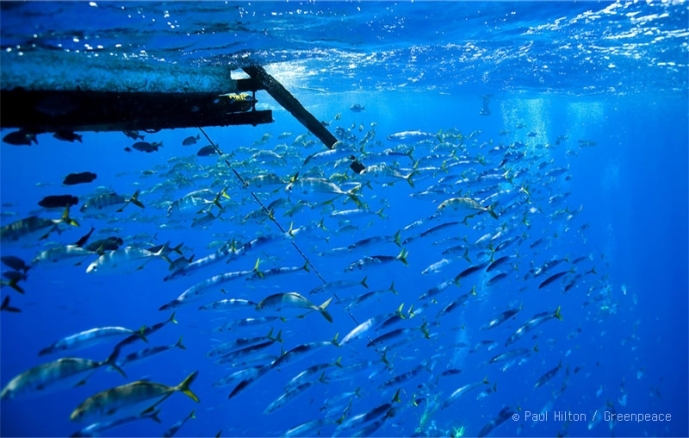 The aggregation of small juveniles in turn attracts larger fish and sharks. 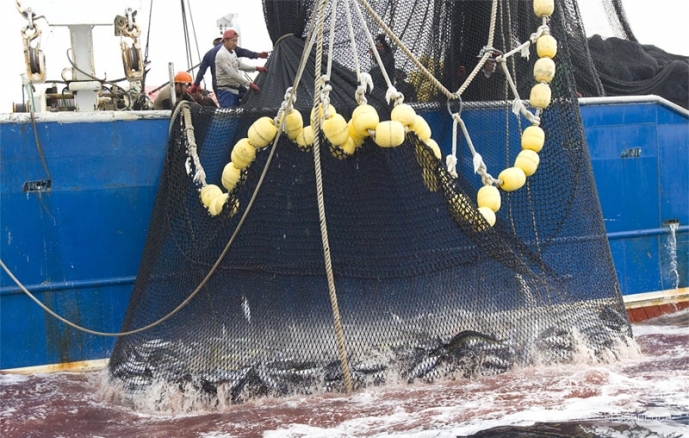 A purse seine is then used to scoop up the fish that have aggregated. FADs have made tuna fishing more efficient and have resulted in a massive reduction in the number of dolphins caught as incidental by-catch. 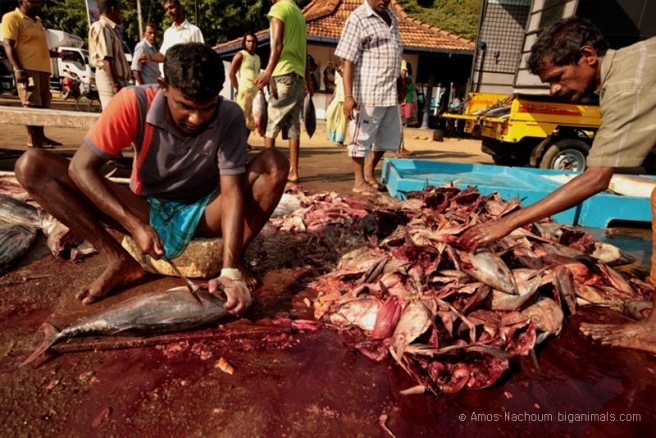 The major downside of such “dolphin-friendly” tuna is the volume of other by-catch that has grown exponentially. Good news for dolphins has been bad news for sharks and turtles. 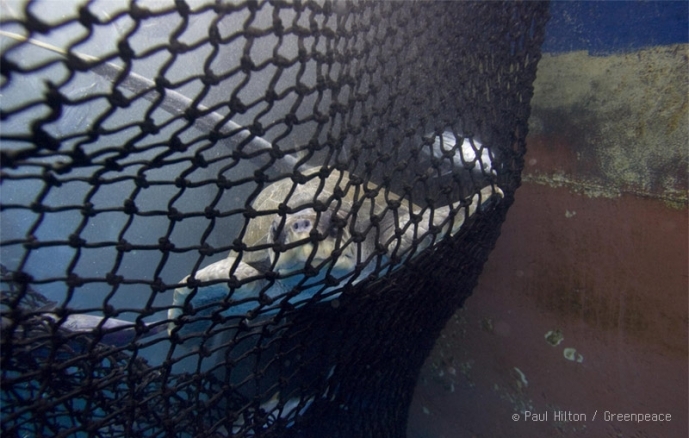 The method is indiscriminate, with endangered species being scooped up together with mass levels of juveniles, placing further stressors on not just tuna but many other species. It is estimated that 100 million sharks are caught every year, many of which are caught by the tuna industry as by-catch. For a species that is slow to sexually mature and has few offspring, such numbers are bad news. 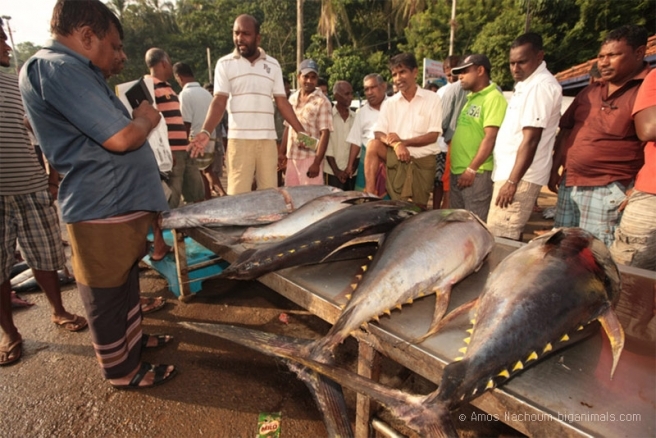 There are tuna fishing techniques that are selective and more sustainable, such as pole and line caught. Live baitfish is used to attract schools of tuna close to the boat, and the tuna are then caught on a hand-held pole and line, catching fish one-by-one. 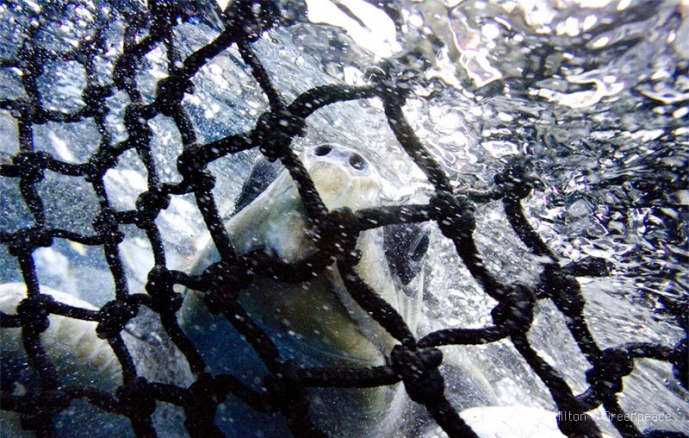 This method typically only catches the species that it targets, thereby reducing the by-catch to almost zero. 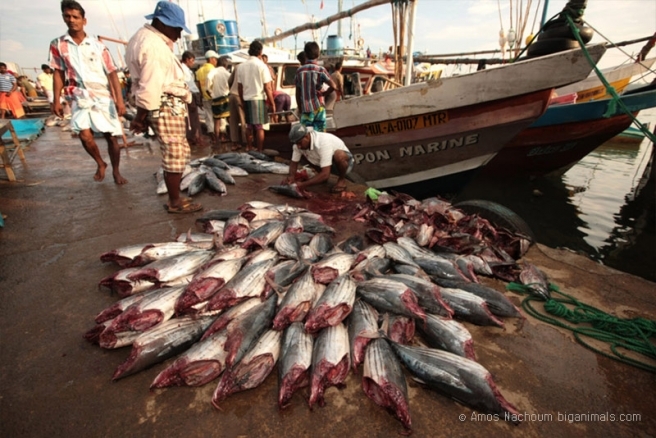 What is really required is a network of marine reserves, no take-zones, to allow tuna and other fish stocks to recover. Greenpeace estimates these protected areas need to cover forty percent of the world’s oceans. Sadly, less than 1% is currently protected. 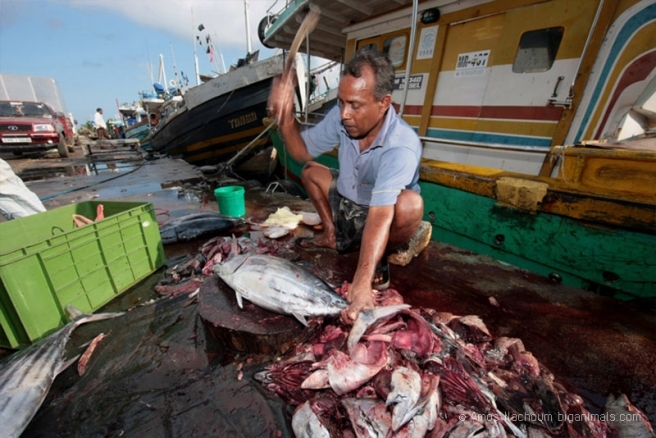 Greenpeace’s tuna campaign has resulted in supermarkets and manufacturers starting to make changes. For more information, check out Greenpeace’s website and the Australian Marine Conservation Society’s Sustainable Seafood Guide which can be downloaded as an excellent iPhone app and has recently been updated to cover tinned tuna brands. An excellent tool for your next supermarket visit. I don’t eat tuna any more. I made an informed decision a couple of years ago. The whole tuna debate for me has left a very bad taste in my mouth. Knowledge is, after all, power. With my knowledge, I’ve made a choice. After hearing all of this, you now have the knowledge, you are now aware of the implications, you know the real cost. That cheap source of protein in a tin is costly to our planet dearly. So the next time you see a tuna sandwich, tuna sashimi, or a seared tuna steak on the menu, you have a choice. To help make a more informed choice about which tinned Tuna you choose to buy, download Australia’s Sustainable Seafood Guide, which now also contains the Greenpeace’s ‘Canned Tuna Guide’. This free app provides you with the information necessary to make an informed and ocean-friendly choice about the seafood you put in your shopping basket or on your plate. It gives you access at your fingertips to recommendations about the sustainability of the seafood found in supermarkets, restaurants and fish and chip shops. Download it here. 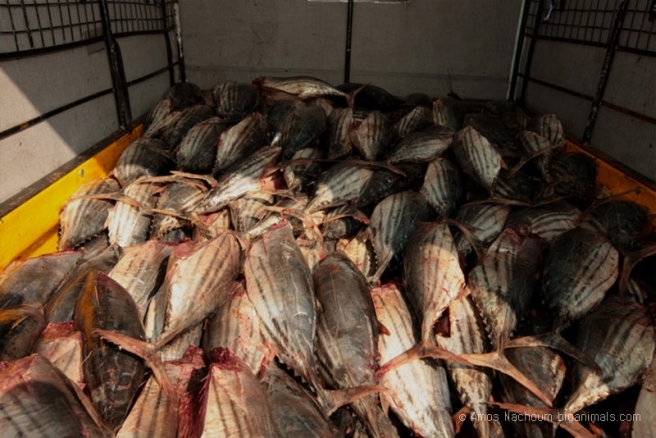 *According to the Shark Trust, four sharks are caught on long lines for every one tuna. 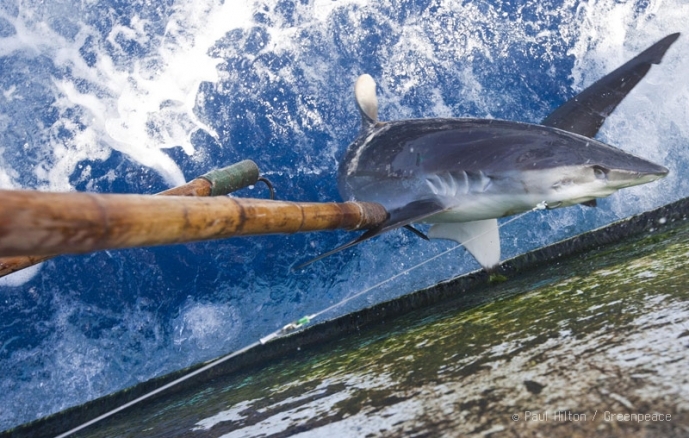 Off New Zealand alone, long liners have caught almost 500,000 blue sharks in the last 10 years. Greenpeace Images: Images © Paul Hilton / Greenpeace are reproduced by permission, and reproduction permission must be sought from the original copyright source listed on these images. Amos Nachoum Images: Images © Amos Nachoum of biganimals.com are reproduced by permission, and reproduction permission must be sought from the original copyright source listed on these images. Very interesting article J9! I thought I was in the clear by buying skipjack tuna but you’re definitely right… if this is seen to be an “environmentally friendly” option, it will certainly be aggressively targeted and marketed that way until it isn’t anymore. I don’t think I can stop eating tuna, as it’s the only seafood that I eat and it’s more of a rare treat than part of my daily diet. I have seen Coles sell tuna caught by traditional pole and line methods, but it seems to be only occasional. Perhaps if the sustainable options were readily available for a small premium and clearly kepted on separate shelves, eventually buying the others would become like buying caged eggs? Sneered at and frowned upon. Only very recently have tuna brands started to acknowledge the dire straits of the tuna industry and started to initiate some change. Consumer buying habits en mass can quickly influence their direction, and some brands are seeing “responsibly caught” tuna as good marketing, as well as good for the environment. Just as “dolphin friendly” was, not so long ago. Thanks for your comments Sean. Australian supermarkets were quite slow on the uptake compared to the UK, but are now starting to turn the corner. An occasional treat is a great way to view seafood. Hopefully it will become easier to make informed choices, armed with your knowledge in the supermarket. Your comparison to eggs is a good one.